We're currently on our way to Spain to ride the new Suzuki V-Strom 1000XT on Thursday March 23. The XT is the slightly more off-road focused version, fitted with gold wire-spoked wheels instead of the standard cast items. The new model meets Euro4 regulations, which results in a 1.47ftlb reduction in torque from 75ftlb. Power for the new model is a claimed 101bhp. 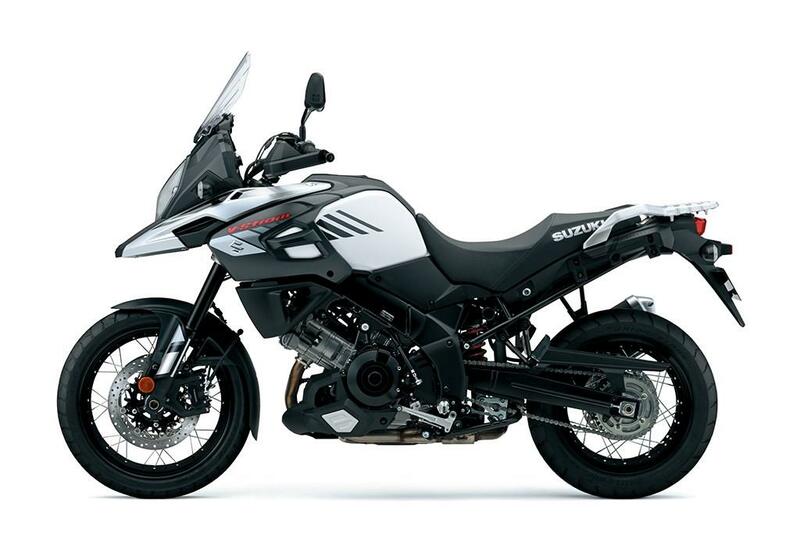 The V-Strom 1000 uses The Motion Track Brake System, which is a Bosch ABS system using a 5-Axis Inertial Measurement Unit (IMU), equating to cornering ABS. The brakes are also linked, automatically applying pressure to the rear when the front brake pressure rises to a certain level. The windscreen has also been changed – it's 49mm higher than the previous model and has three pre-set positions. The screen angle can also be changed. The new screen will hopefully cure the 'Strom's turbulence issue. I had a V-Strom 1000 long term test bike in 2014 and spent most of the year struggling to cure the turbulence issue. In the end the only thing that cured it was removing the mirrors, so I'm very interested to see how much difference the new screen makes. 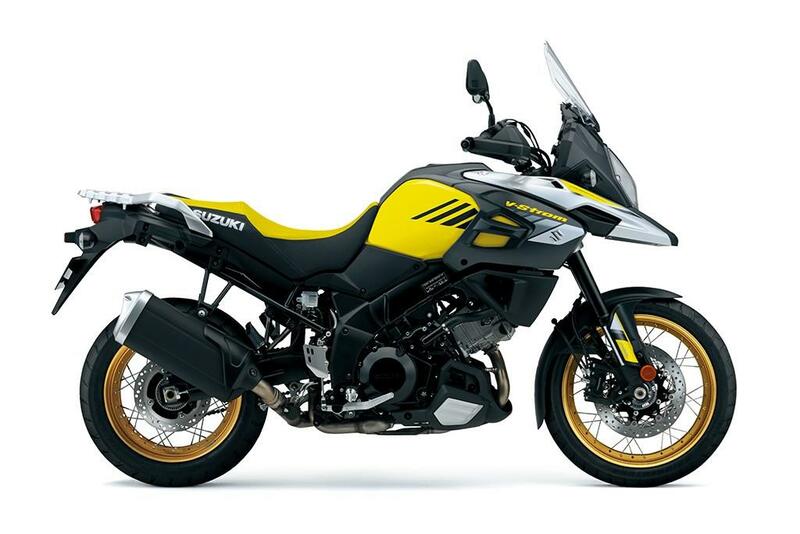 The new V-Strom 1000 comes in yellow, black and white. Is there anything you'd like to know about the new V-Strom 1000XT? Let us know in the comments below.